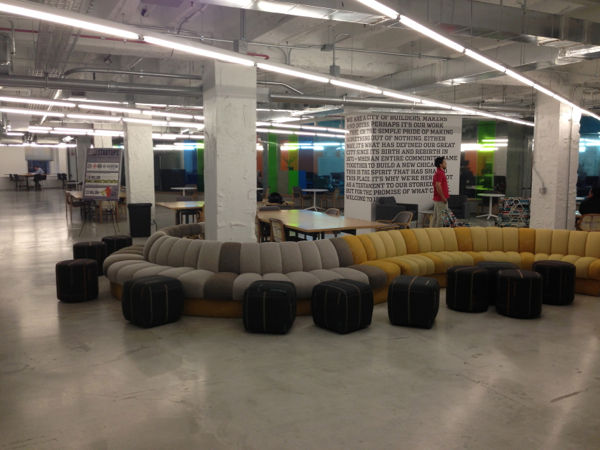 The Starter League is located in a co-working space in the Merchandise Mart, called 1871. Merchandise Mart is a huge commercial building (372 000 sq meters) that was built around 1930, this building has its own metro train stop, full food court and much more. 1871 is a community non-profit endeavour that seems to be working really well. 1871 was the year of the great Chicago fire. But the story is more about how the city was rebuilt after the devastation, and how passion and innovation was combined to not only build one of the most amazing cities in the world but also contribute to world we all live in today. So 1871 now tries creating a space where passion and innovation can be combined again to form some of the great businesses of the future. 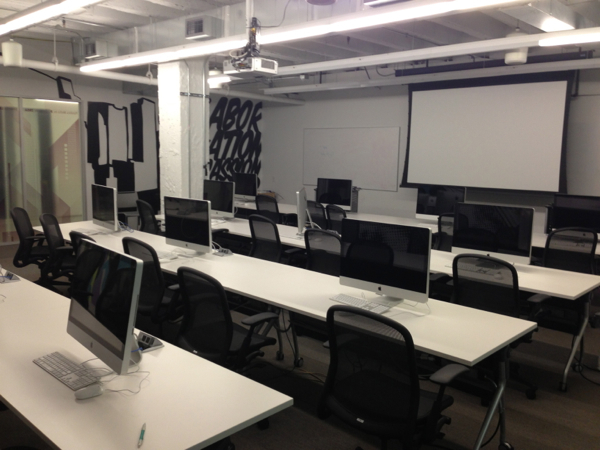 The Starter League, TechStars Chicago and few others are also located here. The vibe is really cool, location is great and the infrastructure everything a young start-up needs. There is also a coffee shop and honesty based stocked fridges to get something to eat or drink at any hour of the day or night. It works on a membership basis starting from $125 a month for evenings and weekend and goes up to $400/month for reserved space. 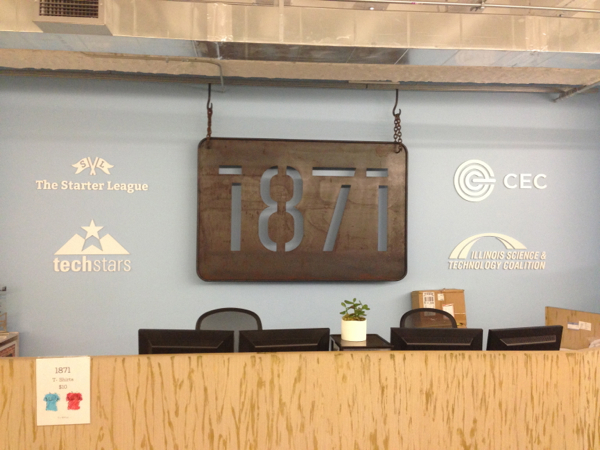 They also have some great events at 1871, like talks by founders and hackathon. I am really looking forward to attend many of them. It is also fascinating watching everybody working, people are mostly dressed really casually, like you would expect form start-ups. Every now and then there are some suits walking around, they really stand out. It is also very interesting so see some of the conversations going on all around the place, you can often see people having job interviews or even meetings with potential investors or mentors. It is really awesome seeing a community like this in action. This must add immense value to the Chicago start-up ecosystem. It was clearly a great idea and the execution seems to be going great as well. I have not really looked for places like this in South Africa, and can’t really say that I know of any on this scale and size. But it would add great value if there was something like this in every major city in South Africa.